The Mission Church with Swansea City really started on 30th May 2011, the day Reading were beaten 4-2 in the Championship Playoff final at Wembley. With the Swans now entering the Premiership an opportunity arose to purchase Season Tickets. 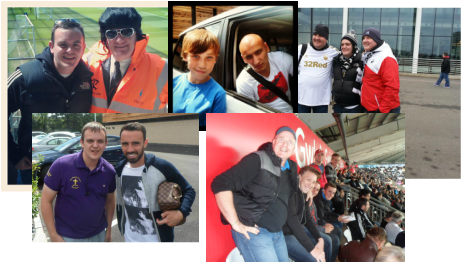 So on a Thursday evening in June 2011 Simon Bates, Ian Fearn, and Mark and Paul Skinner queued from 18:00 outside the Liberty stadium in pairs for three hours shifts!! 18 tickets were purchased all together in the East stand for people from the church and others whether friends or family members. With one of the people dropping out at the end of the first season the church was able to purchase a season ticket of its own. We used that ticket to bless different people from our community whether Christians or non-Christians. We bought the ticket in Memory of David Jones from Gendros Baptist Church who went to Glory in February 2012 and who loved The Swans. Since that season we have purchased another ticket which we use as a Child’s ticket which enables a parent and child to come together if needed. God has blessed the city and the football club with some amazing moments over the last few years and the Mission Church has been privileged to be a part of that. We have been able to bring so many different people to the games, neighbours, local church leaders, youngsters from Morriston Comprehensive, family, and Christians from further afield that we have links with. 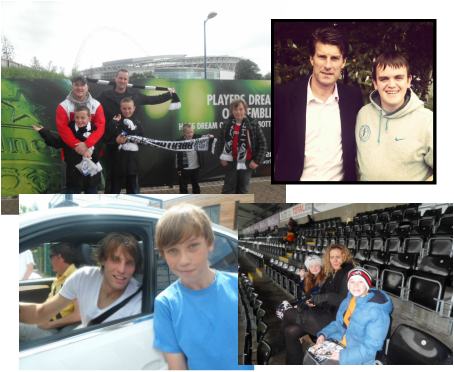 We have been to Wembley twice, watched the Countries best teams in person and some of us have even met some of the players!! We thank God that He blessed us as a church, that we were able to bless others with the tickets. 2017/2018 - Swans are relegated. 2016/2017 - season has started, we continue to be blessed again with season tickets and opportunities to be witnesses for the gospel of our Lord.